There’s an unspoken rule that the more Finnish courses you take, the better. I don’t like this rule. I speak fluent Finnish, and I’ve completed 3 Finnish courses: a beginner’s course at the Tampereen Työväenopisto in 2010, the Upper Level Intermediate 1 course at Tampereen kesäyliopisto in 2010 and Suomi 4 at the Helsingin Avoin Yliopisto in 2011. I also attended a Finnish learning center for immigrants during my first month in Finland before starting the työväenopisto course. That’s it. After my Suomi 4 course, I realized I had more knowledge of grammar than I had vocabulary to use it with. So instead of signing up for Suomi 5 and learning even more grammar, I vouched to find a way to buff up my vocab knowledge on my own. In the process, I found creative ways to use the language in my daily life, and far exceeded my expectations of what I thought I could do with my Finnish. Now that you know where I’m coming from, we’ll look at the assumption behind the ‘more is better’ rule, before we jump into a few questions to help you figure out if another course is really what you need. And to be clear, sometimes another course is the solution! 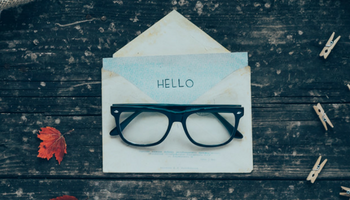 But sometimes it’s not, and if you come to this conclusion by the end of this post, I’ve included a link to explore the option of language coaching with me, if it floats your boat. 1. Does right now feel like the best time? Deciding to focus on your Finnish is a commitment of resources: time, energy, etc. Think through what else is going on in your life right now: does now feel like a great time or are there too many competing obligations? Do you genuinely feel excited about a course or does it feel like an obligation? I know there’s no such thing as the perfect time, but some times are better than others. This doesn’t need to make sense to anyone else but you. If the idea is pulling you, move on to the next question. If not, is there a more ideal time on the horizon or do priorities need to be moved around a little to make space for that. When can this be done: right away, soon? 2. What is it specifically that I’m expecting from the course? Do you need a better understanding of grammar (if you’re further along, can you pin-point what you struggle with specifically? ), more vocabulary, more conversation practice, more writing practice, accountability, encouragement, friends to speak Finnish with, fantastic explanations? Or are you hoping for the other shoe to drop so you can see the bigger picture and make Finnish fun on your own? What is your main intention for the duration of the course? Consider what you need ‘more of’ alongside what you need ‘less of’. Can you do more with less? 3. How does this course fit into the bigger picture of my learning? Riding a bike is not something you learn by reading about it. Similarly, speaking Finnish is a skill you develop, not just by studying, but by speaking! So how would another Finnish course fit into your big picture of actually using Finnish? What will it enable you to do that you eagerly want to do? How will you convert the knowledge from the course into the skill of using the language? 4. Is classroom learning how I like to learn? Or is there another way? There are an infinity of ways to learn a language, and although classroom learning is considered the traditional method, it’s only one of them. Have you always enjoyed learning in a classroom? Does the set-up suit you and your current needs? Is there another way that would be more fun and efficient for you? In my case, I enjoy classrooms up to a certain point. I like it at the very beginning as I’m going through the basics, and meeting new people. Around the intermediate level, I might need the accountability to actually go through some of the grammar. But after awhile, I start to get really impatient. The more Finnish I use in daily life, the more tailoured I need my learning to be. This happened during my Suomi 4 course where I realized I had more grammar than vocabulary I could use it with. And it just goes to show that following the levels isn’t foolproof. Languages are meant to be spoken! I’ve met students who have made their way through language courses, going from beginner to intermediate, and all the levels in between, but they struggle. 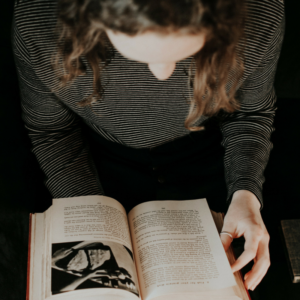 I’ve heard stories of people working with private tutors, only to end up with a huge pile of knowledge that they grapple to understand — and yet, they keep trying to amass more knowledge in the hopes that it’ll lead to them eventually speaking. But our brains don’t work this way. Grammar is learned in a natural order, where new concepts are introduced, used and fine-tuned. Before we add onto this base, we need something to click. If the click hasn’t happened yet, adding more knowledge is like building a skyscraper on an uneven or even rotten foundation. Without using your Finnish, you cannot develop the skill involved to speak it, because these are two separate things in your brain. You must use what you learn to make sense of it! It’s by making mistakes that you refine what you’ve studied and turn it into a skill. So if you’re all set to take a course, ask yourself: what is my level? Answer this honestly by considering what you can do with your Finnish. If you have levels 1, 2, 3 under your belt but didn’t really understand what you covered in level 3, are you going to sign up for level 4? I urge you to consider other options. I’m not sure it’s time for another Finnish course… now what? 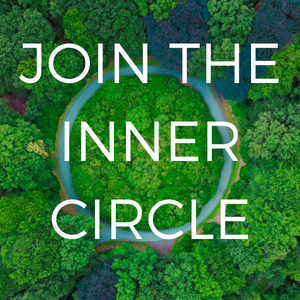 If now is not the time, that’s ok. We all need to consider competing priorities in our lives, and sometimes babies, family crises, work crises or [fill in the blank] hop on our radar and take most of our energy. Part of being a consistent learner is being compassionate with yourself and acknowledging when it’s time to add to your plate, and when it’s not. If the timing isn’t right now, then can you schedule a check-in and come back to these questions in a few weeks or months’ time? Or do you need some time to carve this out as a priority? Be patient and gentle with yourself and all that’s going on in your life, but firm with your intentions to follow up on this. If the timing feels right, aka. you feel eager to make progress with your Finnish, but you’re unsure about going back to the classroom, I suggest looking into Finnish coaching. Finnish coaching is a strategic approach that focuses on the process of learning, as opposed to the actual words, grammar, etc. The ultimate goal of Finnish coaching isn’t to teach, it’s to empower you to learn. When you understand what you need, it’s much easier to make the process fun and keep things light. I’m a huge believer in this approach because it’s how I’ve overcome a lot of struggle to eventually learn and speak fluent Finnish! 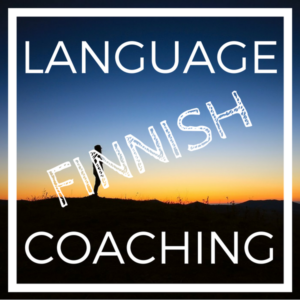 I have a few groups opening up this week in the Finnish Language Coaching program, with focus on different levels (similar challenges). You can find more information here.